I have to start this review with a disclaimer - Like a Closed Fist was not my kind of book at all. I struggled to finish it, often feeling like I was treading water as the story stalled. I have been surprised with an excellent ending before, so I pushed on in hopes that the story would turn around and be something I enjoyed. Unfortunately, the ending felt like we'd been looped back to the beginning of the story. And it is sort of a cliffhanger ending as we don't know what happened to Justin, possibly the most promising of Pheobe's suitors. I could not connect with the main character Pheobe. She is a stereotypical whiny millennial. Nolan tried to garner sympathy for the character with having her raped at a party (before the story begins) and still grieving the death of her mother. Unfortunately, the continuing victim mindset just made me dislike Pheobe more. And don't get me started on her dad who I think has some kind of co-dependency with her. But what really irked me about the characters was their two-dimensional portrayal. I didn't feel like any of them grew in the story and let me tell I was screaming at Pheobe to GROW UP. She showed signs of maturity towards the end fo the story, after her dad sat her down and made her get a job (something I thought he should have done earlier, but him doing everything for her except the actual interview still lends towards my theory of a co-dependent relationship). However, the ending pretty much, for me at least, canceled it out. I can't judge the other characters too harshly since the story is told in first person by Pheobe who is an extremely unreliable narrator. Usually, when I don't like a book I can find some redeeming quality or at the least see who might like the story. I tried really hard to find something positive about the story, but I'm not sure who the story would appeal to. 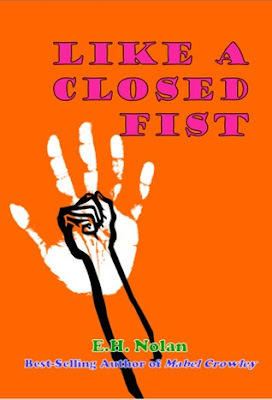 Like a Closed Fist is about a 24-year-old depressed woman who is enabled by her father who provides room, board, and a monthly allowance while not encouraging her to find work or her own friends. Instead, he lets her hang out with his recreational baseball friends and then is surprised when she flirts (and falls in love) with the 50-something married coach. Is he just safe since he is unavailable or does she really think a potential affair is a good idea? I was hoping for the former, but the ending makes me think the latter is more true. The note at the end mentions a sequel, but it won't be one I'm anxiously awaiting. Have you read Like a Closed Fist? I would love to know what you thought of it.